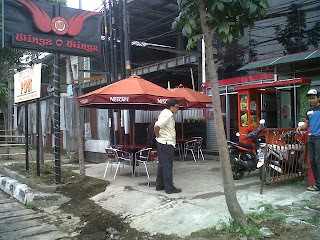 After a while enjoying their famous chicken wing via delivery service, we are finally be able to go and eat at the location! First, we are there because of the Groupon Disdus promotion, but as the voucher only be able to be used starting next week, then we decided to try the food there. 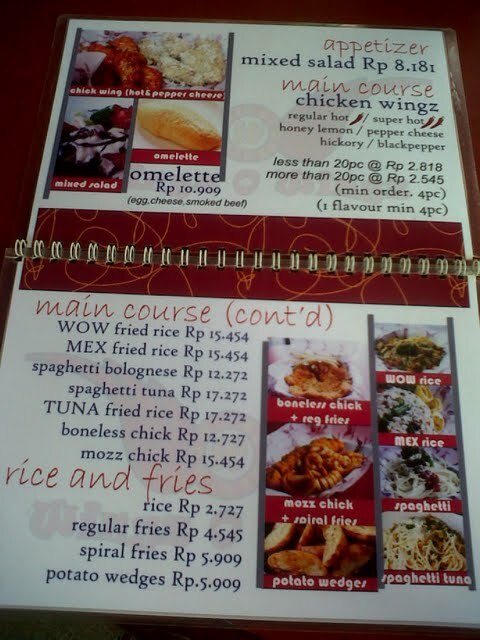 Basically the menu that they are serving is more on the chicken wings. 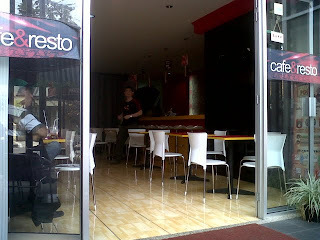 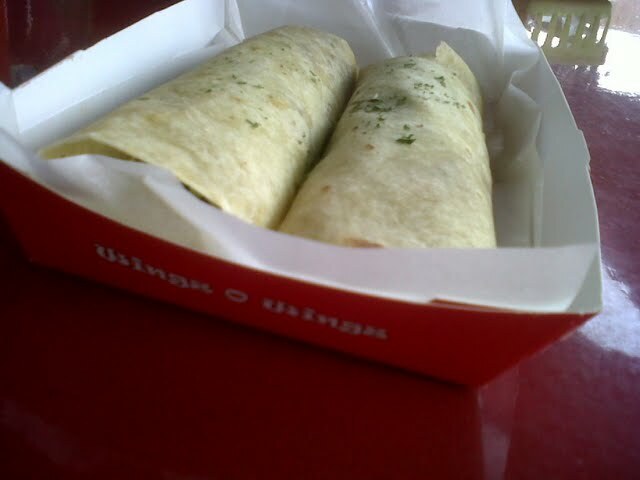 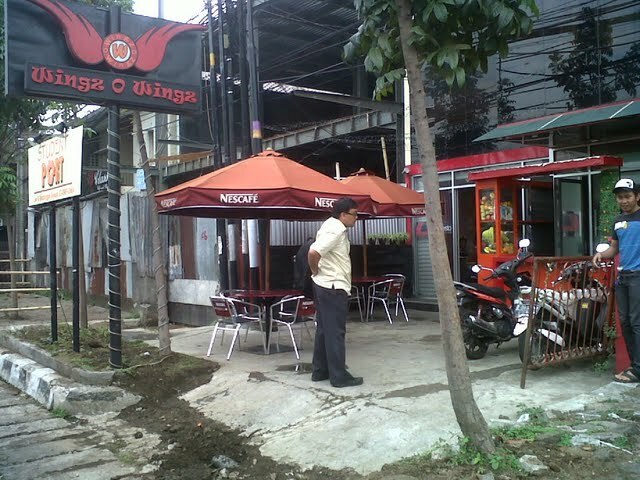 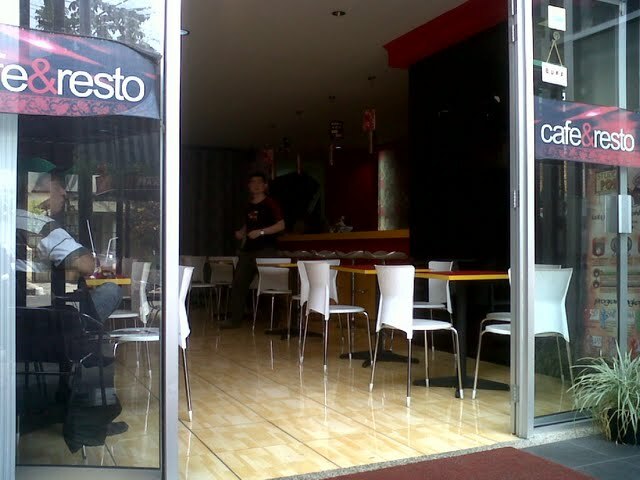 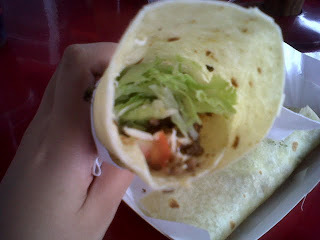 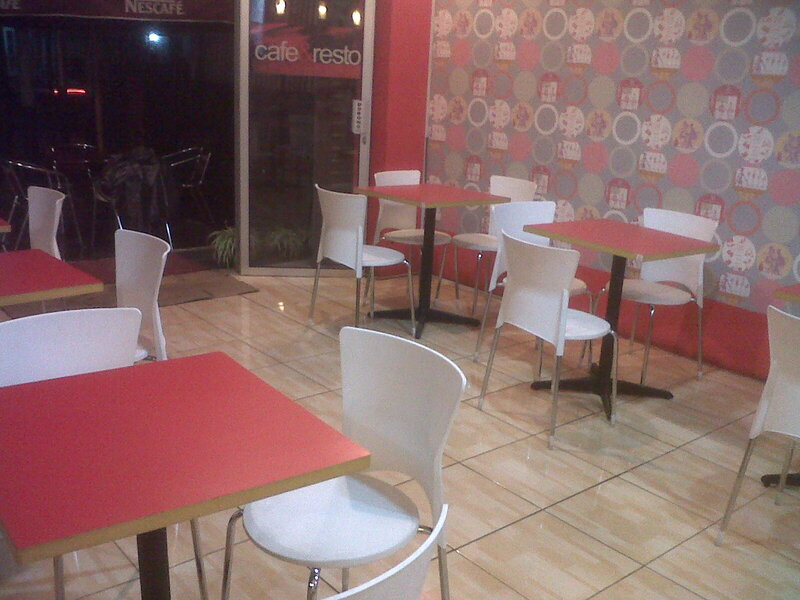 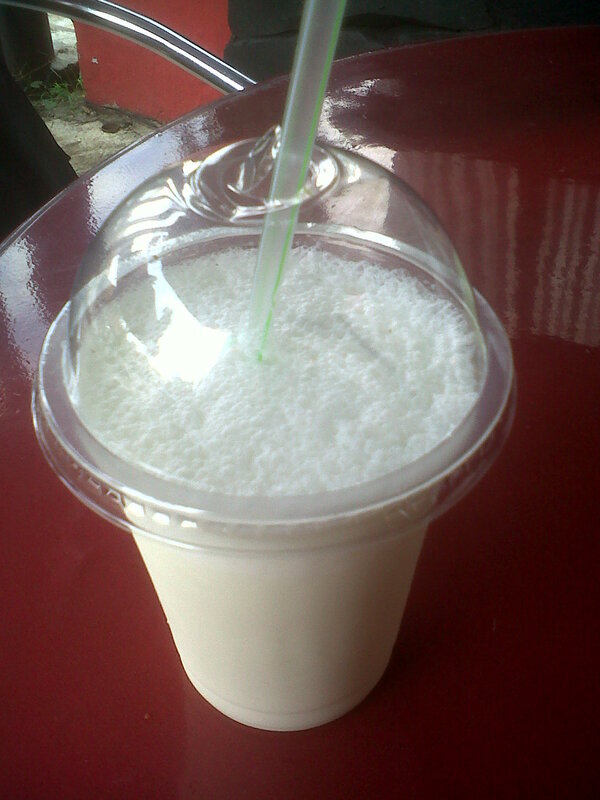 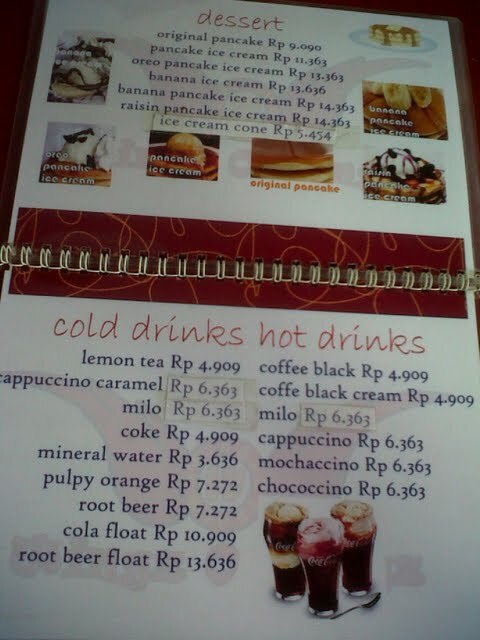 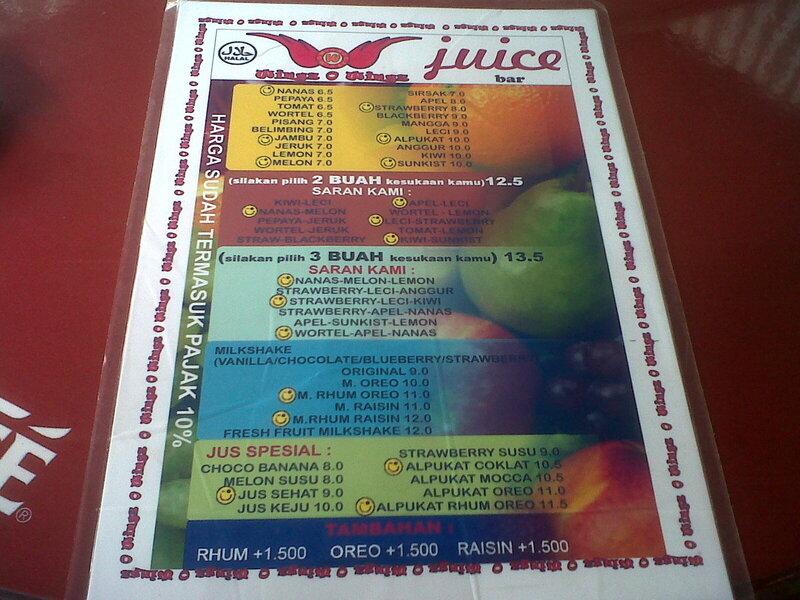 Besides the chicken wings, they also sells other type of foods such as Taco's, Spaghetti, Pancakes, etc. 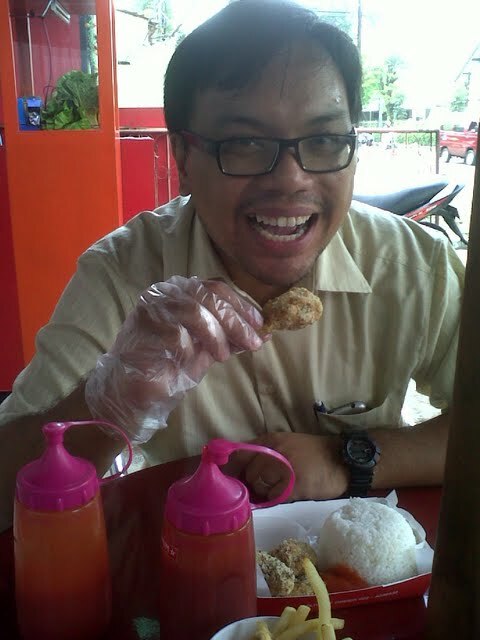 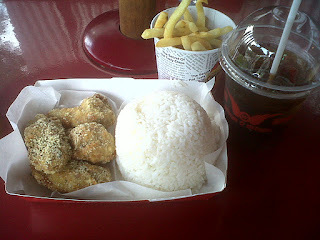 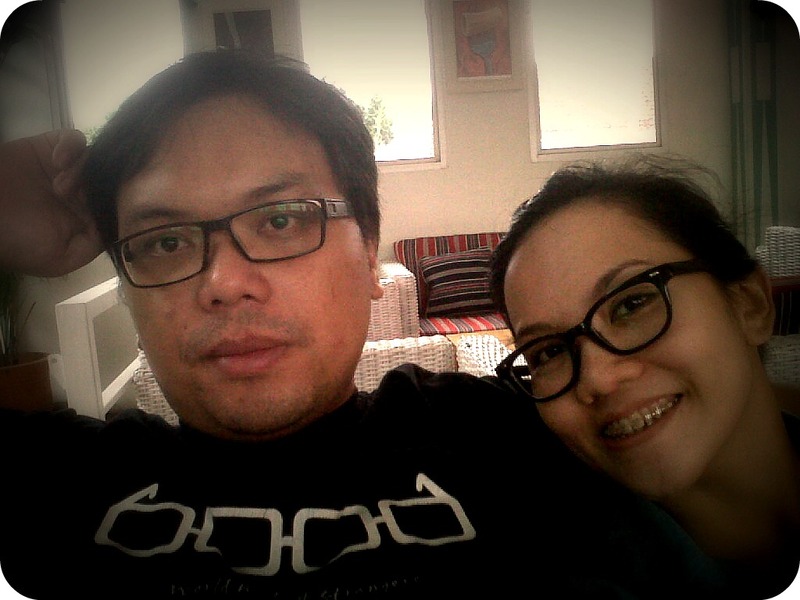 But for us, their main dish is still their chicken wing, especially the pepper cheese coated chicken wings. Their price is quite affordable too. 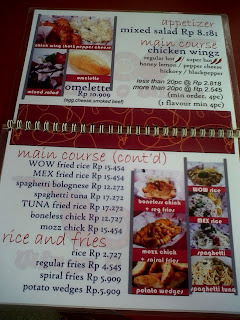 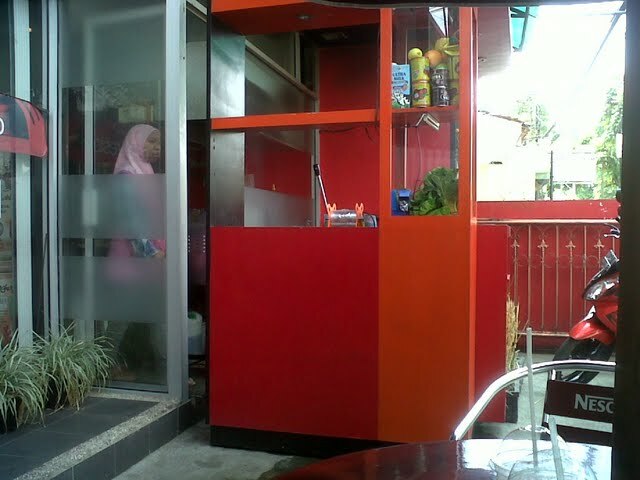 For a package consisted of one rice, 4 pieces of chicken wings and a lemon tea, you only have to pay around Rp 15.000 (US$ 1.8) while their wings costed around Rp 3.000 (US$ 0.3)/ pcs (cheaper if you purchase above 20 pieces). 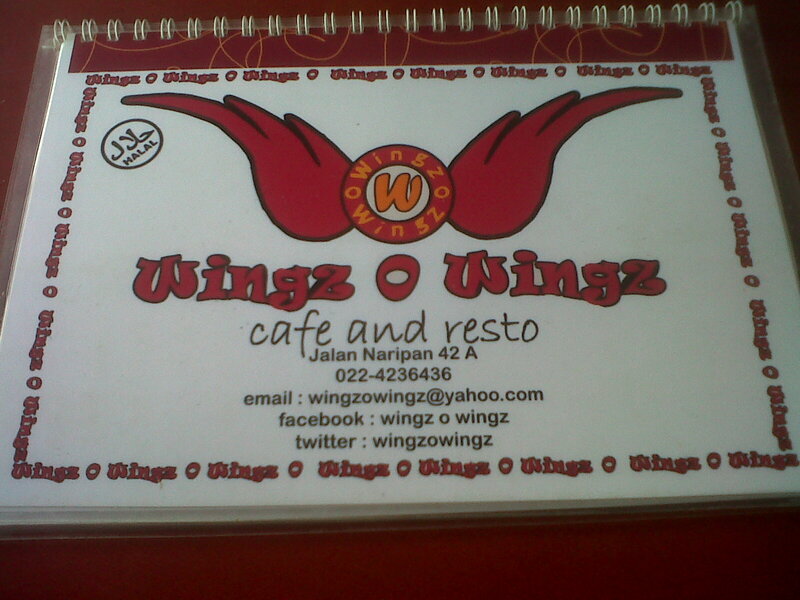 So if you love chicken wings, then this is the place to try in Bandung.